A nuclear power plant lit up at night. Patricia Lorenz is a Friends of the Earth Europe's spokesperson and expert on nuclear issues. She started her anti-nuclear activities at Global 2000 in 1993. Working for Friends of the Earth Europe she founded the European Nuclear Power Campaign and organized the Euratom Conference. In Vienna she was engaged in several projects such as Euratom and Nuclear Waste Watch. She is the antinuclear coordinator for the Friends of the Earth Europe based in Brussels and has organized and participated in several high-profile international conferences and workshops. Ioannis Michaletos: Over the past few years, there is a renewed and dynamic interest concerning the use of nuclear energy in Europe. What is the stance of your organization for the above, taking into account the various environmental, economic and social consequences? Patricia Lorenz: I would rather call it a renewed discussion of all energy forms, caused by a changed energy supply situation and of course climate change. Nuclear is back in the discussion, out of the taboo which followed the accidents of Three Mile Island 1979 and Chernobyl in the Ukraine 1986, which made nuclear stand for big accidents. Together with continuous and enormous cost overruns and delays nuclear was not even a topic anymore. Right now this is supported by massive image campaigns of nuclear industry, making sure to secure survival of a minimum infrastructure. The last 10 years some kind of change presumably is taking place. When assessing the environmental, economic and social consequences we see that nothing really changed. The safety concepts or reactor technologies are basically the same. The waste problem only grew bigger because time passed and showed that there is very likely no solution for radioactive waste and spent fuel. The EPR nuclear waste will be up to seven times more hazardous than waste produced by existing nuclear reactors, increasing costs and the danger to health and the environment. Top of the iceberg is probably the 100,000 tons of nuclear waste which were dumped by leading European utilities on Russia in the past decades. The currently prepared E.U. directive on radioactive waste and spent-fuel disposal tries to tackle the waste problem, at least on paper, waste being the most visible proof that nuclear energy is not sustainable nor able to solve its problems after 60 years of commercial use. We do not expect the directive to contain more than some very general recommendations, because the technical problems of any kind of final disposal are far from solved. On the contrary, the much hailed Swedish solution—the Finnish one being basically the same—seems to be falling apart for reasons of scientific mistakes, caused by suppressing open research in time, namely the matter of copper corrosion. This might endanger the licensing process, which is expected to start at the end of this year. Economics of nuclear did not improve. On the environmental and social question we have to see that nuclear energy stands in the way of even better development of renewable solutions in some E.U. countries. Nuclear itself as an energy form is inevitably on a downturn, because more units are taken off for good than put on the grid. Additional capacity is only achieved by upgrading existing reactor output, not necessarily a contribution to higher nuclear safety, rather the contrary. In 2009, worldwide annual generation of nuclear power has continued on its slight downward trend, decreasing 2 percent last year. IM: One sceptic can state that the opposing views against the "nuclear renaissance" are the ones still centered in the oil era and not willing to take into consideration that the needs of the present time call for some serious diversification of the energy production across the world. Do you accept that there may be a "hidden motive" against the further use of nuclear energy in modern day Europe? PL: I have not come across signs of a hidden motive, and if you look at the problems nuclear projects encounter, they are inherent in the technology and the nuclear establishment itself, many of which I already mentioned or will mention later in this interview. What I did hear however at a hearing in April in the European Parliament are comments like "Slovakia simply does not have wind as Austria does" or "Finland does have biomass, but no wind." What is interesting about this observation is that both Slovakia and Finland are, with the exception of France, the only European countries with nuclear power plants under construction which do keep the share of alternative energies as low as possible by various means. Slovakia and the Czech Republic both had years of anti-wind propaganda, the energy form being called unreliable or killing birds, etc. Now the Czech Republic is curbing down solar energy production. IM: Do you assess that a proper debate has been called for in Europe by either the national governments or the E.U. for the nuclear issue? Are the people in fact aware of the issue being addressed? PL: No, I do not see any thorough discussion, and of course it is one of the most controversial topics and therefore it is difficult to lead a good debate. Of crucial importance will be the Swedish debate and possible Environmental Impact Assessment on the waste disposal method. The E.U. Council tried to start such a discussion of stakeholders in 2007 and the ENEF was founded, the European Nuclear Energy Forum. We as NGOs certainly, but I think also representatives of member states, experts and perhaps some industry people, went into the effort with good spirit and interest. However, the set up of plenary sessions in Prague and Bratislava, which were turned into severe pronuclear PR and the way of marginalizing the views and well-founded comments the few NGO representatives contributed in the work sessions, ended this process. NGOs left in summer 2009, now ENEF consists mainly of industry and E.U. Commission representatives. IM: How important do you believe is the environmental impact of nuclear energy use in Europe and are there any measures to overcome the negativities that may be in place? PL: The most severe environmental impact is, number one, residual risk and, number two, the fact that it is becoming more and more obvious that no material and no method can keep the radioactivity of spent nuclear fuel from re-entering into the environment for thousands of years, probably not even hundreds of years. 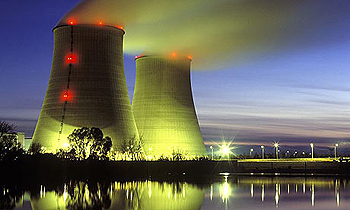 The residual risk of a catastrophic NPP accident has always been recognized. The argumentation of its very low probability used by industry does not make it go away. IM: In a nutshell, is there any tangible proof that nuclear energy production causes more damage to the environment that the fossil fuel production? How do you view the assessment made by scientific organizations that label nuclear energy as the "cleanest form of energy" presently? PL: I am not sure I heard nuclear energy being labelled as the cleanest form of energy. A very widespread claim is nuclear as being CO2-free. When including all steps of nuclear production, like the very energy intensive uranium mining, CO2-free is far from true. Using current uranium ore grades (2 percent concentration) results in 32g of CO2 equivalent (CO2eq) per kWh of nuclear electricity (kWhel) in Germany. One reason for this is the quality of uranium; the lower the grade, the more CO2. A substantial increase of nuclear electricity generation would require the exploitation also of lower-grade uranium ores and thus would increase the CO2 emissions up to 120g CO2eq/kWhel, which is much more than other energy technologies. Natural gas co-generation: 50-140g CO2eq/kWhel; wind power: 24g, hydropower: 40g. Not to be forgotten is that uranium mining destroys the landscape and contaminates soil, air and the water. IM: Is the use of new technology in the production of nuclear energy, such as the one being developed in a power station in Finland and similar other processes in other parts of the world, a step forward so as to call nuclear a "safe" energy mode? PL: I assume you mean the European Pressurized Reactor in Finland, which is only under construction but not in operation yet as new nuclear. From a technical point of view, there is not much new about it, the advertisement for it being standardized, simplified, robust design, higher availabilities and longer service life, higher safety, lower probability of a core melt accident compared to current reactors of so-called Generation II. They usually have higher installed capacity per unit (minimum 1000 MW). Higher output increases risk. Older units now mostly in operation have much lower capacity, starting at 400. In sum there are certainly some small improvements, for example by making systems simpler, but the basics are the same, nothing revolutionary in reactor functioning. Next is to be Generation IV reactors. This is also a habitat of old ideas failed once already. Half of them are based on the Fast Breeder concept. All but one, Belojarsk in Russia, were shut down by the operators, some after a very short time of operation, usually due to problems with reactor control, accidents and civil protests. The Fast Breeder concept as such is extremely dangerous. IM: According to the views of your organization, what measures or stance do you think the regulatory authorities and most importantly the E.U. bodies should take in order to realistically address the issue of environmental protection regarding to the expansion of nuclear energy use? PL: Friends of the Earth Europe is against any expansion and for a phase-out of nuclear power use, the reasons being inherent in the technology, well known as I presented them above. IM: Lastly, I would like to obtain your ideas concerning the ideal mode under which energy-related and environmental issues should be discussed in a pan-European level. In simple terms, what is lacking nowadays in that sector of public discourse, and in particular, do you believe that "social responsibility" programs by energy giants are enough to make a positive contribution to all the ongoing issues? PL: No, certainly social responsibility programs or other sponsoring does not suffice in comparison to the enormous damage done to nature and society for big profit. I guess it is not necessary to mention the name of BP these days. The fact that the polluter pays principle … should be understood also by nuclear industry as a warning.